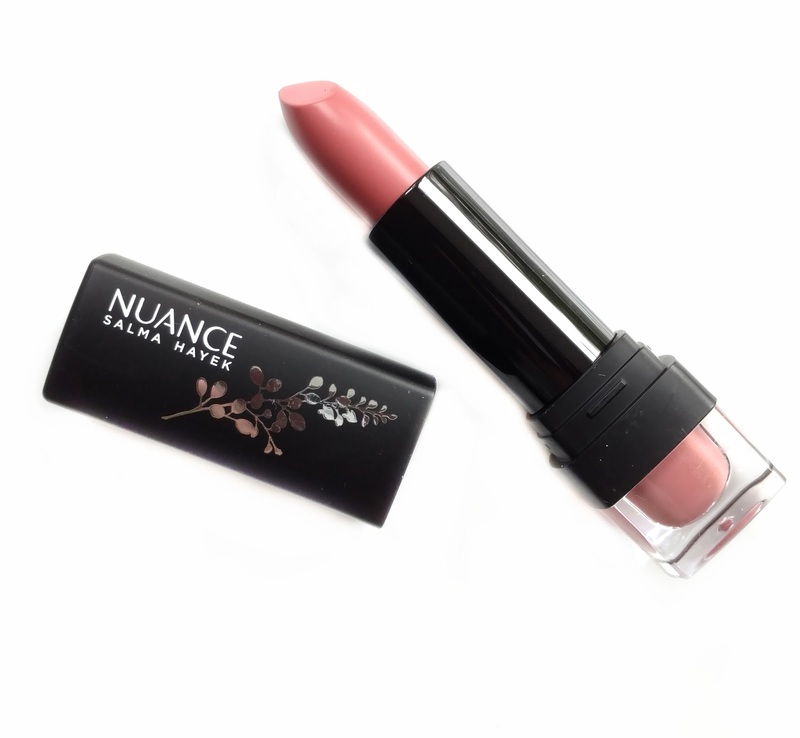 I was going through my box of "products I need to review" a few weeks ago, and found a few pieces from the Nuance by Salma Hayek collection (available exclusively at CVS). I actually got them last summer but I kept passing over them for more "exciting" launches and they eventually got buried at the bottom of the pile. 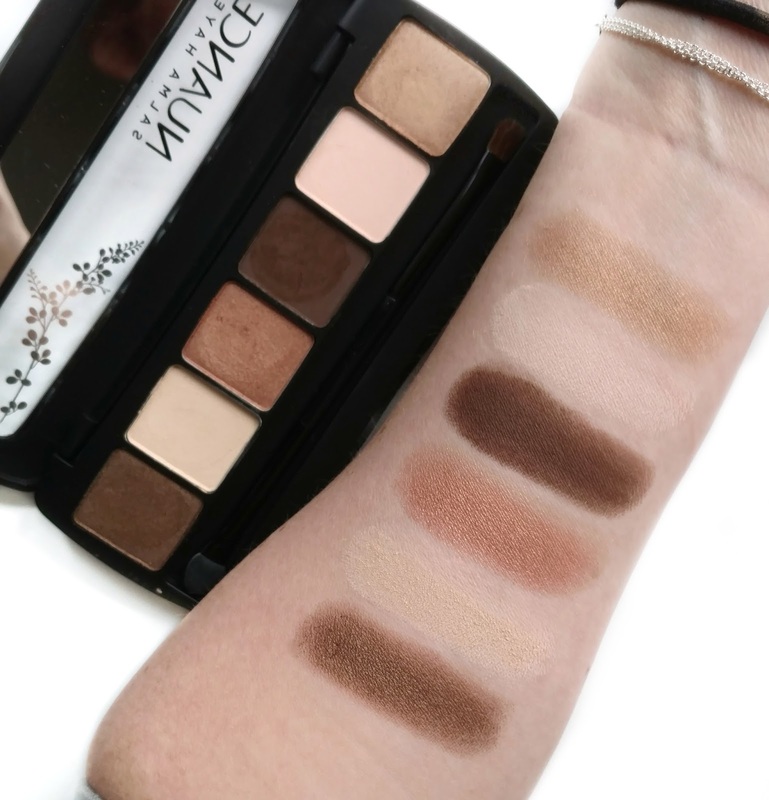 The first product I tried was the Endless Eye Effects Shadow Collection in Neutral Expressions ($13.99). The formula contains argan oil and a blend of silicone-infused mineral pigments that are designed to make them glide across your skin and blend easily. There are three different color combinations, but this one features browns, creams, gold, and rose gold in both matte and shimmer finishes. It also comes with an applicator that has a brush on one side and a sponge-tip on the other. I don't know what I was expecting from these shadows but I was pleasantly surprised at how rich and velvety they felt. 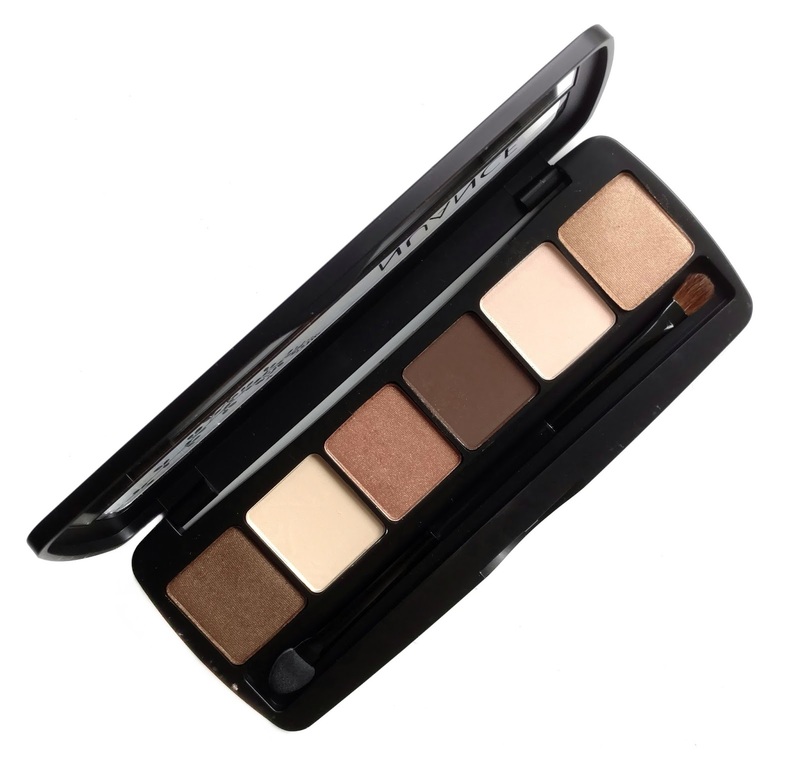 The shades are nicely pigmented and blend so beautifully on the eyes with a brush. They're also very long lasting and not powdery or dusty...they have an almost creamy feel. I really hope they come out with more colors because I would definitely buy them all! 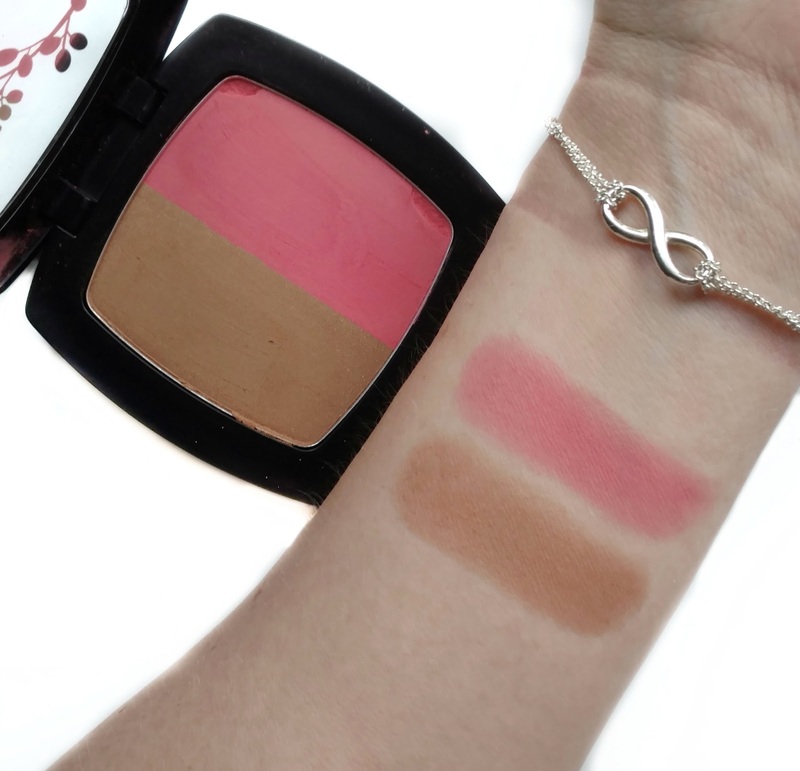 Next up is the Flawless Finish Illuminating Blush & Bronzer Duo in Golden Pink ($12.99). 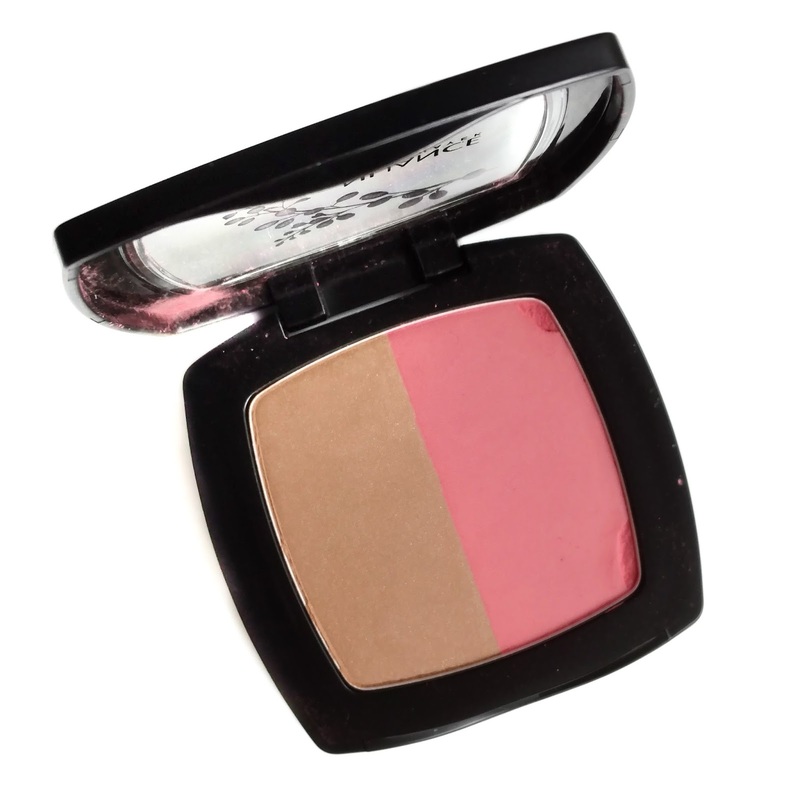 This formula also contains argan oil and this particular shade combination offers a natural-looking bronzer with a teeny tiny hint of shimmer, and a beautiful matte pink blush. The powders feel super silky and smooth...not as buttery/creamy as the eyeshadows but still very soft and blendable. I love cheek products like this because they go on so smoothly with no streaks or patchiness. I can't wait to try the Coral Glow shade next! Finally, the True Color Moisture Rich Lipstick ($9.99) could be the best lipstick I've tried in a long time! It contains green tea and peppermint oil to boost circulation to the lips and fillers to plump up lines and wrinkles, making your lips look smoother. 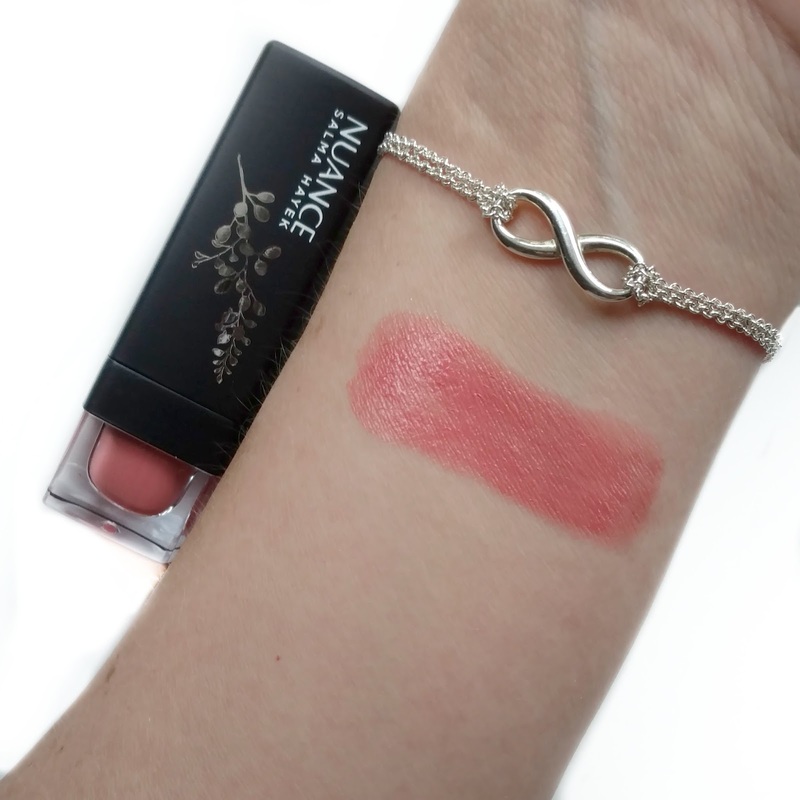 That's exactly how I would describe the feel of it...it's super hydrating and gives your lips the juiciest shine. They do smell minty due to the peppermint oil but it's very subtle and fades pretty quickly. The shade I have is called Baby's Breath Pink and it's such a pretty color for Spring. But there are lots of other shades I'm dying to try now! Overall, I'm so happy with all three Nuance Salma Hayek products I tried and will definitely be heading back to CVS for more. The formulas feel and perform like high-end for a lot less, so don't let the basic packaging fool you...there are definitely some hidden gems to be had here! I admit I just pass right over this brand when I'm at CVS but everything sounds awesome. I'll have to pick up a few things next time I'm there! I just saw Tati mention the same palette in a video a few days ago and she loved it too. Might have to give it a go! Thanks for always talking about brands that are under the radar. She reformulated the makeup last year and it's sooo good now. I think people tried it initially back when the line first came out and didn't like it so they moved on. But it's like higher end quality, not kidding! I highly recommend the lipsticks and the eyeshadows and foundation are really nice too. 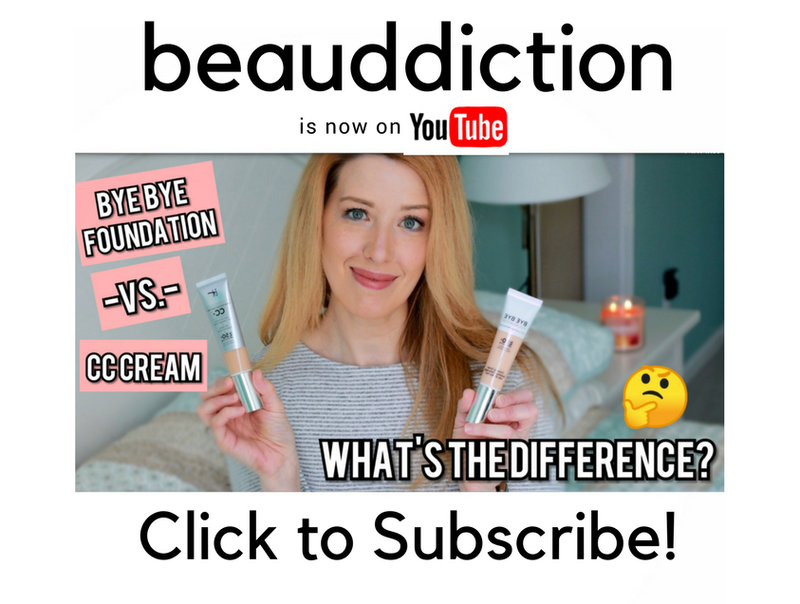 The makeup line is good but the foundation is recommended for someone with dry skin. It melted on me. Thanks for reviewing this I have been trying to find reviews for a while on this brand!